China. Luo Huang. 2009. 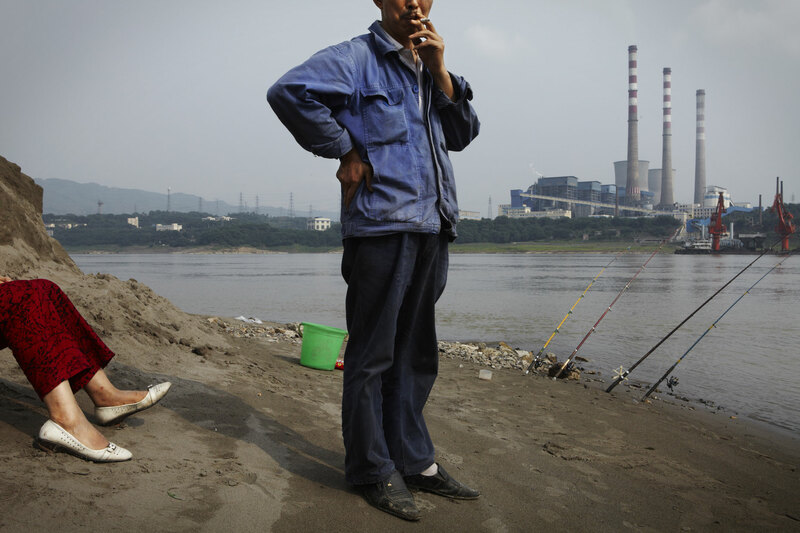 In the industrial Yangtze town of Luo Huang, in the Chongqing district (about 30km from the city center), a husband and wife fishing in the river with the coal-fired Chongqing Luo Huang Hua Neng power station's smokestacks rising in the background.